Soprano Sarah Folsom is pleased to be joining the voice faculty at CMA after completing her Master’s degree in Voice at The University of Cincinnati­-College Conservatory of Music in spring of 2015. A native of Tallahassee, Florida, Sarah has been teaching voice since 2009 and is experienced in working with students of varying ages and singing styles including classical, jazz, musical theatre, and popular music. Sarah strives to help each of her students build a solid vocal technique that is healthy, sustainable, and tailored to each individual’s unique instrument. Her teaching is focused on the diverse goals of her students, whether they seek to establish fundamental skills in singing and musicianship, increase ease and enjoyment of singing, or pursue vocal study at the pre-­‐professional level. Additionally, Sarah has special interest and experience in coaching classically trained vocalists who are looking to expand their versatility as singers by branching out into contemporary and popular styles. Sarah’s students also benefit greatly from her knowledge and instruction regarding vocal health and wellness for singers. In addition to her teaching background, Sarah has extensive performing experience in multiple genres. She has performed operatic and musical theatre roles such as Beth (Little Woman), Giannetta (L’elisir d’amore), Mabel (The Pirates of Penzance), Pamina (The Magic Flute), Mrs. Nordstrom (A Little Night Music), Maria (West Side Story), and Eliza Doolittle (My Fair Lady). Additionally, Sarah recently played Rose Segal in the Southeastern premier of John Musto’s Later The Same Evening. Sarah’s concert work as a soprano soloist encompasses performances of Britten’s Rejoice in the Lamb, Stravinsky’s Les Noces, Bach’s B Minor Mass, Mozart’s Mass in C, and Handel’s beloved Messiah. Sarah has also performed in theatrical plays, most recently appearing in the Cincinnati Fringe Festival production of “Reflections” last spring. She has been the recipient of numerous awards in performance and music research, including the Tallahassee Music Guild’s Harsanyi Award, Florida State University’s John P. Spratt Award, and four consecutive first place prizes at the National Association of Teachers of Singing Competition. 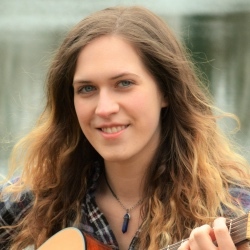 Sarah continues to establish herself as an active recitalist and professional musician, presenting solo programs across the country, serving as a section leader at Ascension and Holy Trinity Episcopal Church in Wyoming, and continuing to study voice privately with her teacher, CCM faculty member Karen Lykes.